Everything changes and I am trying hard to learn to accept that. It is a struggle for me. Even good change (like the girls getting taller, losing teeth, etc) is hard for me to accept. I have loved the girls more at every single age, but I still long for the way they used to be. Maybe that is why I scrapbook - to try to make sure I never forget how it is exactly RIGHT NOW. Never thought about it like that, but I bet that has a lot to do with it. OK, things starting. Tonight was the first night Busia (my Mom's 85 year old Mom) spent the night in her new room in our home. It will be a transition for all of us, but it is time, we are all ready, and it is a blessing for each one of us in its own way. In fact, tonight, the ever amazing Kalli choose to spend the night in my old room with her great grandma. She was so cool about it that it made me cry. How blessed are the girls to get to be around someone filled with SO MUCH love for them. I am transitioning our stuff (why do we all have so much stuff anyway?) to Dad's old room in the basement. It is a very nice space. A lot smaller than I had, which is encouraging me to purge (which is a very good thing). Moving is just hard. I loved our room. I need to get my dad to come over to hang up all my photos of the girls, then I know I will love our new space, too. And, I feel lucky to have the space to have Busia here with us. I pray she does OK with the transition. I love that lady. I have been a lame blogger and an even lamer scrapbooker (is lamer even a word?). I used to do something called Make Something Monday and I loved it. I loved having one time each week where I made SOMETHING. 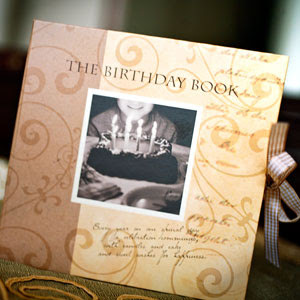 Printed or uploaded photos, created one journal entry or finished one page. I have been asked to start this again, and I am going to try. I have a better shot this summer while I am not teaching.... so here it goes... starting NEXT MONDAY, I am going to post SOMETHING I made. I am going to try to encourage some of you to do the same..... we can do this. We can make things that matter. There is truly enough time in our lives to create simple, meaningful memories.... we just have to prioritize and DO IT. 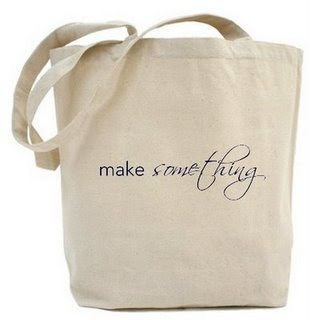 If you want to encourage yourself to remember to MAKE SOMETHING check out Shannon's new MAKE SOMETHING stuff on Cafe Press. Carrying this will remind me to just make something. Never make it harder than it needs to be, just think about a memory you desire to never forget, and get it on paper! Enjoy the process. I am ending this super long post with a photo Kalli made me take today because Uncle Matt ran to Target and did not get to see all the candy dots she had in her mouth at one time. Once Upon A Family is closing its doors to consultant sales as of June 30th! They did not give us much notice... but, they are offering 40% off of anything they have so you can complete your kits, get what you have wanted for your family, and stock up on a few meaningful gifts. 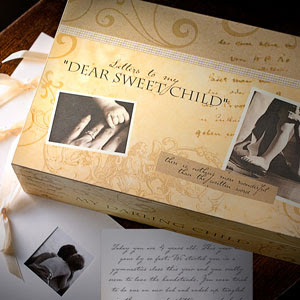 I loved their items once I saw the Dear Sweet Letter Box. I got one for each of my daughters and became a consultant. I never did many parties, but the parties I did do were a lot of fun, and I think people picked up some great, meaningful items. Anway, this is it - your last shot. So if you have been waiting to get anything, now is the time before it is gone for good. Plus, at 40% off, you can check a few Christmas gifts off your list! 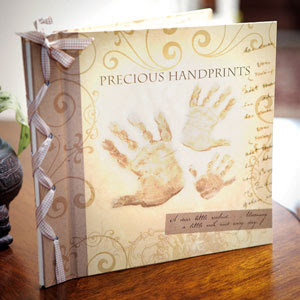 They have a lot of other very cool items like Lessons for Little Ones, Keys, Cool Silk Albums and so much more. Browse the site if you get a chance. These will all be gone in just a few days. I hate when things I love end. Anyone who reads this knows I hate change of any kind. It is sad that a company with these strong of products could not make it. Speaking of change... in a few days, my beautiful (and crazy) 85 year old grandmother moves in with us. It surely will never be boring! I totally stole this idea from Stacy Julian's blog and I LOVE IT ALREADY! It was quick and easy to alter her templates she kindly provided to make this work for our family. The girls are excited and I am totally excited, too. I have had a lot of issues posting and I think I finally might have found a way around the issues. For any of you still reading this thank you for checking in still. I hope to post more this summer. And, I will post again later with info and links... but Once Upon A Family is longer going to be in business as of June 30th so if you have anything you wanted to get from me... be sure to order soon off my website before the products are gone forever.... more on that later. OH YEAH - every awesome thing they make is 40% off! Get what you have always wanted now before it is too late.